Davidson College’s 2000 undergraduate students enjoy a strong relationship with the town of Davidson, immediately adjacent and across the street from campus; Davidson is about 20 minutes north of Charlotte, NC. Students support town events, volunteering for local charities, and Davidson residents partake in the many cultural activities sponsored by the college. 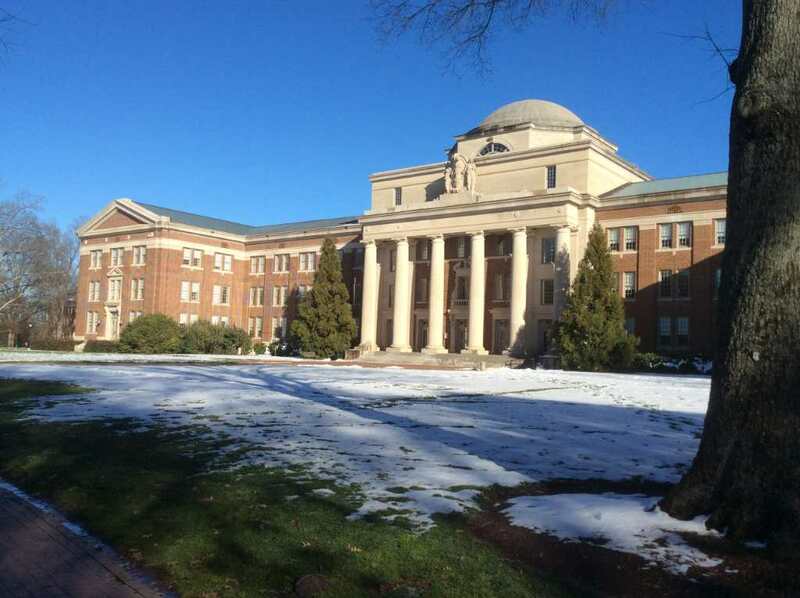 Unlike many liberal arts colleges, Davidson has Division 1 sports (when you visit, you’ll be reminded several times that NBA superstar Steph Curry is an alum), and there is strong school spirit surrounding sports activities. 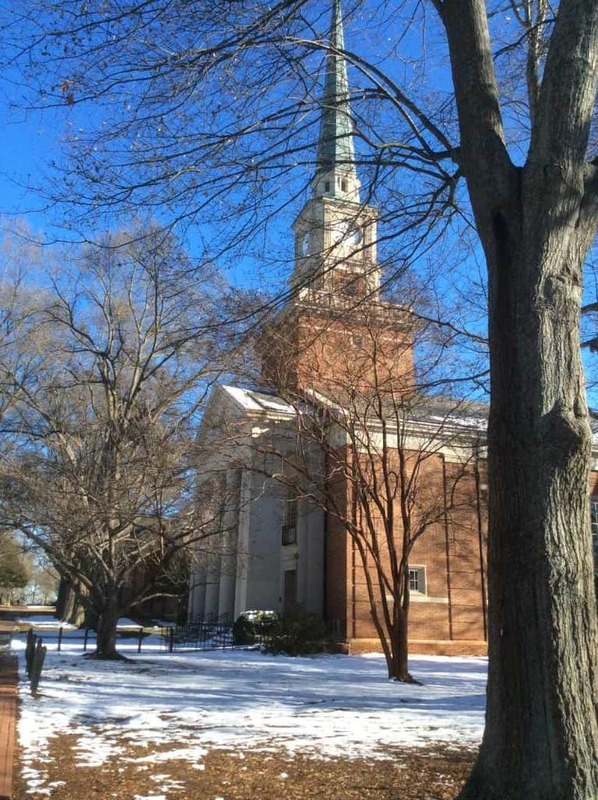 Students are also very “outdoorsy” at Davidson College, with miles of hiking and biking trails through and around campus, and a “lake campus” just a few miles up the road for rowing and other water sports. 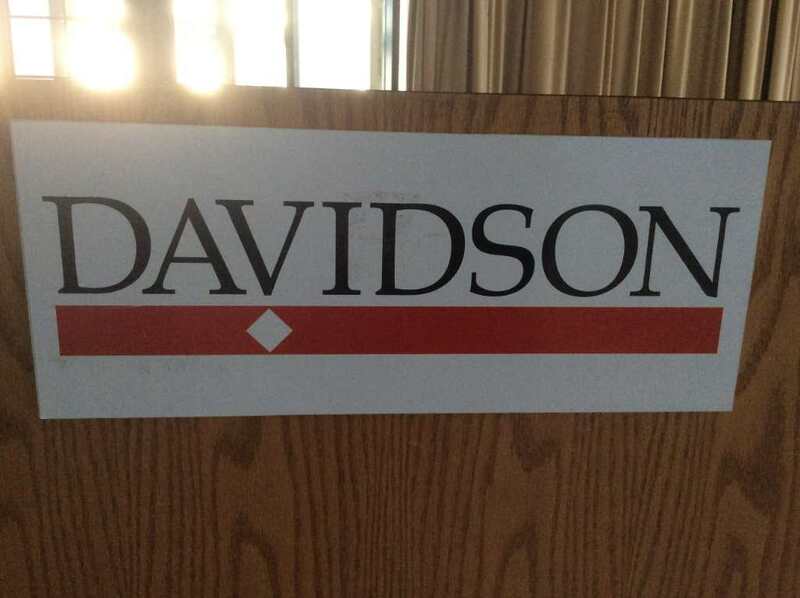 Academically, Davidson is extremely rigorous, and it attracts highly intellectual students who frequently have multiple academic interests. With a focus on the liberal arts, Davidson College has distribution requirements, so you should expect to take courses in a wide variety of academic disciplines, including fine arts, foreign language (3 semesters or testing out required), and even physical education (playing a team sport would satisfy this requirement), in addition to the traditional liberal arts areas such as math, science, history, and literature. Davidson has several options for interdisciplinary majors and minors as well, including genomics, bioinformatics, Russian language and literature and more. With a brand new science center, Davidson College has fabulous opportunities for undergraduates – even first year students – to work with faculty on scientific research projects. There are no TAs here, by the way, and classes are capped at 32 students. Davidson’s Honor Code is one of the things that makes the entire experience special here – students, faculty and staff alike will say that “it informs everything we do.” At freshman convocation, students are called up one by one, by name, to sign the Honor Code, which simply affirms “I won’t lie, cheat or steal, or tolerate anyone else who does.” Students may schedule their own exams, which are almost never proctored. Laptops and backpacks are left sitting unattended at the library (which is open 24 hours), at Commons (the dining facility) and at other locations around campus, as there is little fear that anyone will steal anything. The Honor Code builds a sense of trust that pervades students’ experience throughout their four years. Nearly all students – 95% – are involved in service during the year, with many participating in Americorps and Teach for America. Davidson College does not offer student loans, filling 100% of demonstrated financial need with grants and work-study, so students can graduate with low or no debt, making these service-related post-college options more possible. Davidson College has two secret social fraternities, founded in the early 20th Century, as well as 6 fraternities, 4 historically African-American fraternities and sororities, and 4 local eating houses that started out co-ed, but have transitioned to be for women, since there are no nationally-recognized sororities on campus. There is no Greek housing at Davidson College. Admission officers will tell you that test scores are the least important measure of interest to them, but scores of their admitted class are high – the middle 50% range from 28 to 32 ACT and 1230 to 1440 SAT. Davidson is looking for rigor: how much are you challenging yourself within the curriculum that is available to you, and are you succeeding? This is truly a place where a B in an AP class would likely be more impressive to the committee than an A in a regular class, of both are offered. Admissions is ONLY looking at your academic courses and they recalculate your GPA on an unweighted, 4.0 scale. In addition to the “Why Davidson?” essay and teacher recommendations, Davidson College is one of the few to ask students to submit a peer recommendation. It’s possible that this ties back into the strong sense of community that the Honor Code engenders: they’re trying to figure out what kind of classmate and roommate you will be here. “Don’t ask your sibling, or your girlfriend or boyfriend,” cautioned one Admission officer, noting that they are more likely to be “brutally honest,” and less likely to help sing your praises in a way that will encourage the Admission committee to see you in your best light. About a quarter of Davidson College students are from North Carolina; forty percent are from the Southeast. Charlotte is 20 minutes away, with incredible internship and job opportunities for students. The campus works in harmony with this lovely suburban community, making Davidson a great choice for students interested in a liberal arts environment with access to a big city. Evelyn visited Davidson College in early 2018; you can scroll through all of her photos below.